Estate and end-of-life planning is a topic for which many people often seek the guidance of an experienced tax advisor. Issues such as preparing a will, incorporating a trust, or using life insurance as a means to reduce estate tax are generally hot topics. Professionals such as Attorneys, Financial Planners, and Tax Advisers commonly contribute to the process and work together to identify the best solution for the client. A Tax Adviser who is not authorized to practice law must rely on those duly qualified to prepare the appropriate planning documents. 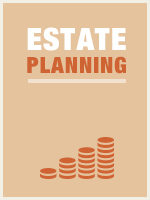 It is important that all professionals involved understand the fundamentals of estate planning in order to navigate their clients through the evolving regulations surrounding wealth transfer.